Cause your words will outlive even time." I've counted my blessings.The rest are for you. And breathe, breathe, deep for me James. Don't you feel that you're free now from pain? I've heard about heaven for years. Can't be sure where you are, wander on blessed James. I'm fine with you here. I made the mistake once of fearing an end. Is this life that we live just the world's accident? Not a chance, so I move on with a smile. Are you surprised where you are? So breathe, breathe, deep for me James. I grew up slow on the heels of the rest. Left my heart back at home, carried you in my chest. And I don't feel like crying today. Why can't we talk for awhile? You said, "Son, just listen to me." But I'm doing fine, James. So you can sit back and just breathe. And it's time now to let yourself go. The curtain will fall but behind it I see that you're here. 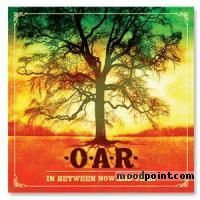 if you want to see other song lyrics from "In Between Now and Then" album, click "Oar Singer" and search album songs from the artist page. If you know some new information about James, or other song from our site, that isn’t already on song page, please let us know, Any refinement, news, or comment is appreciated. If information about James, or any song from moodpoint directory is wrong, please contact us and write where the incorrect data should be replaced by correct data. 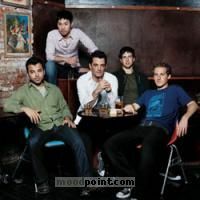 Use "Find Lyrics" box on our site, try to use different artist or (and) song title(ex: James) word forms.